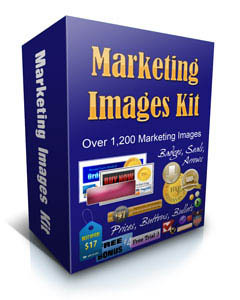 Looking for the Marketing Images Kit? It has been replaced with my all-new Graphics Library. The new Graphics Library has over 55,000 images, compared to just 1,200 images in the old Marketing Images Kit. It was a nice images package, but it doesn't compare to this new Graphics Library. Not only that, but the price is lower for the Graphics Library and there are some really cool bonuses included. Lots of bonuses! All that with prices starting at just $17! 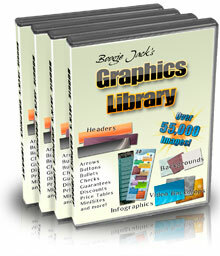 Why not check out the Graphics Library right now! There are headers, backgrounds, video backdrops, buttons, bullets, checks, arrows, guarantees, infographics, shopping cart images and more. See the samples. Image sprites are amazing, but most people haven't heard of them. Of those who have, many think they are difficult to use, but that's not true at all—sprites are very easy to use once you know how they work. I could post a page with 1,000 sprite buttons and it will load faster than a page with 10 traditional buttons, and that's just one of many benefits sprites offer. 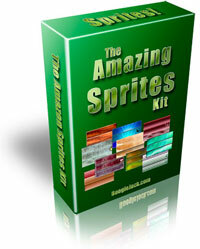 Check out The Amazing Sprites Kit and see what "cool" is really about! Custom graphics are also available.